Ghostbird’s self-titled debut consists of six songs and a mild remix. Opening track “Toy Soldier” is probably the best track here, starting things off with a good energy and a memorable hook chimed out by the lead guitarist. As a result, it probably has the makings of a minor college-radio hit. It sounds like a rather under-scripted Death Cab for Cutie track; the lyrics aren’t nearly up to that band’s standards but are the strongest on the record. From there, things get spottier; “Night Kills Day” is formula emo-pop with a few indie-rock production cliches (backwards guitar notes, glockenspiels) trying to cover the song’s fundamental weakness. “Sing” gets off to an interesting start with drum machine and processed guitars charting out an unsteady course, but these ideas never quite solidify into anything as compelling as it ought to be, which is a shame; the weak, stereotypically emo lyrics don’t help matters any. Continuing the theme of strong openings for weak songs, “Caroline” sets out with a great, organ-fueled opening verse that effectively channels George Harrison (the melody almost seems to quote “Something”), but this gives way to a perky but utterly disposable pop tune with mundane lyrics and an unsurprising hook. After the cotton-candy feel of “Caroline”, “The Drug” comes almost as a relief, driven by heavy guitars, hard rhythm, and distorted vocals, but the chorus is weaker than the verses, and the lyrics, once again, fail to generate any interest. “We’re OK”, the last new song on the record, is also the weakest, opening with an oh-so-pretentious harpsichord figure and settling into a thoroughly generic emo-pop tune; the drummer and lead guitarist do manage to demonstrate that they are above this material, while the lead singer attempts to oversell genre tropes about ripping his heart out and such. Seemingly to compensate for a shortage of material, the last track is essentially a repeat of the first, with such lightly-applied remixing that one would likely not even notice it without paying careful attention. 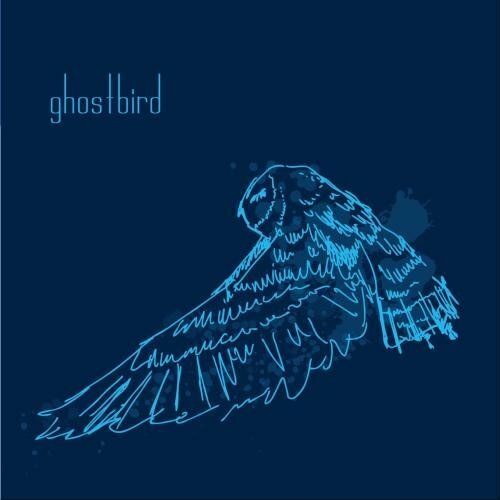 Overall, Ghostbird is solid but unimpressive, and seems unlikely to rise above any of their emo-pop peers. They have a grasp of hooks and seem to be exploring some interesting (if well-worn) musical ideas, but they just can’t quite break free of convention yet.